You are browsing the Blog for Ruth Archives - Every Tongue. It’s exciting for us to see people in Tanzania hearing the Bible in their language for the first time, so we were eager to read recently of the dedication of seven new Scripture books in the Burunge language of Dodoma Region. The Burunge live to the north of Dodoma town, where I was based from 2004-05, and speak a language that is not even vaguely related to Swahili. Pastor Doe preached a message from 1 Timothy in Burunge. It was obvious that he had the crowd’s complete attention. One older man sat listening with tears rolling down his cheeks. Pastor Doe clearly explained the Gospel and told of God’s great love for all people. The sermon was also translated into Swahili for non-Burunge speakers.To close the event, portions of the new books were read aloud by members of the community. 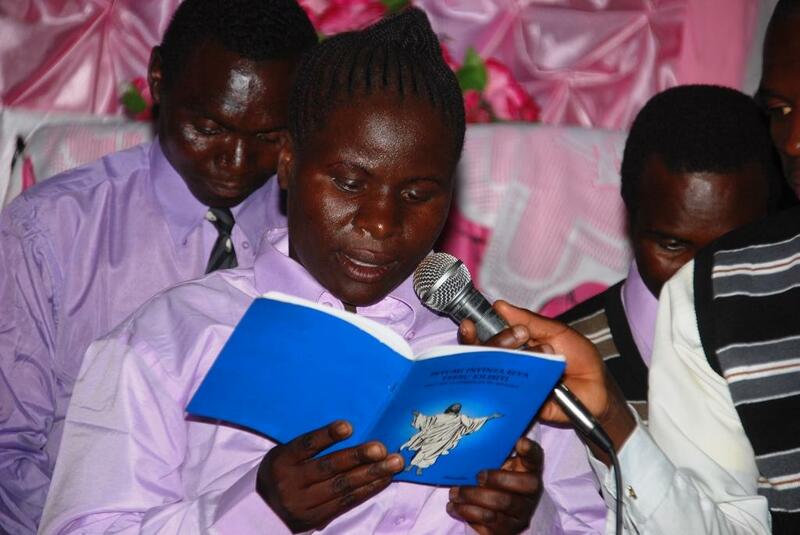 It was such a blessing for our literacy workers to hear people reading new portions of Scripture in Burunge. All the church leaders then gathered together, prayed over the books, and dedicated them to Lord. After the dedication, people were able to purchase their own copies from a book table. I attended the dedication of the book of Ruth back in November 2005, which was the first book ever to be published in the Burunge language, so it’s exciting to see how the team are progressing. That book is now being revised, as part of ongoing translation work. You can find out a bit more about the Bible translation work that is ongoing among the Burunge people, and amongst other groups in Tanzania and Uganda. Please also remember to pray for others in the two countries who don’t yet have access to the Bible, including those of Katavi Region who we are hoping to work alongside in the future! While the goal of Bible translation is never simply to produce books, it’s always exciting for me to see the dedication of parts of the Bible in a language, and the potential for a community to engage with God’s message in a new way as it is available in the language of their home. The sales of the available Scriptures – both books and cassettes, Bible-related materials, and literacy materials that day were unusually high. It was market day so people from all the neighboring villages were gathered and they had come with money. 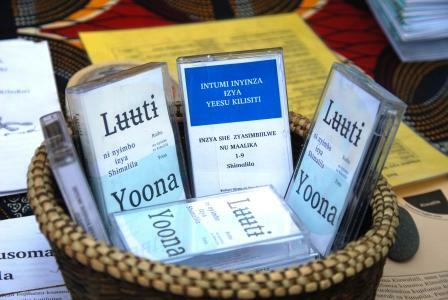 We sell at cost or a loss, but it is really encouraging to see people enthusiastic about buying materials in the language that speaks to their heart! Please pray for the Malila people and their church leaders – that they would interact with the Bible in their own language, and have a fresh sense of God being one of their community.